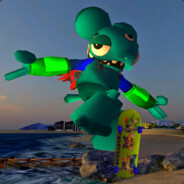 I just finished condensing all of the uploads (parks, skaters, custom skaters, custom levels) into one page with Filters and Sorts. Also added is some lazy loading images to make them feel a bit faster. Download counter has been added for all uploads. Unfortunately, I can't go back in time and count all the clicks that have happened up to this point but they will register from Today - On. There are more updates coming to the uploader page in the near future but for now, they should work with the new system. Thanks to Dode for working his magic on the site theme! Just checked it out, it's looking real nice. Also I noticed the latest custom level I uploaded yesterday is missing, weird. It can still be downloaded w/ the link. Fixed, I missed that one, sorry! Also, download links will not change so if you've posted direct links anywhere, they will still work.